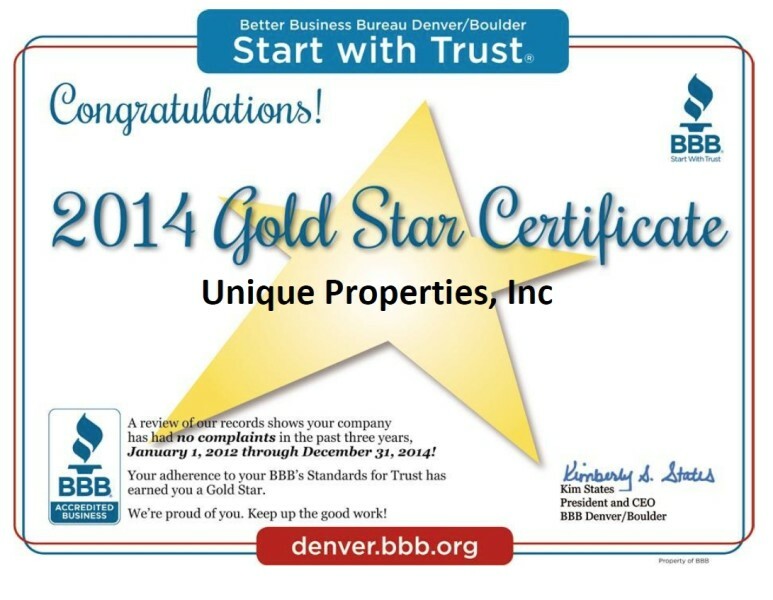 Unique Properties is pleased to announce that we have been awarded with a BBB Denver / Boulder Gold Star Award! 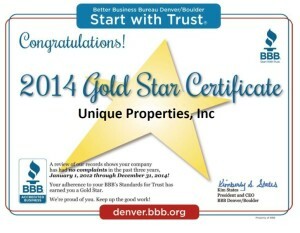 The 2014 BBB Gold Star certificates are awarded to Accredited Businesses with zero complaints. This is our third consecutive year being awarded with this honor! “We consider this certificate an honor to achieve,” stated Marc Lippitt. 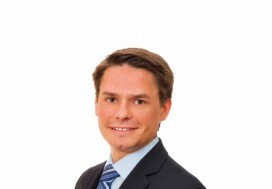 “In the service industry it is difficult to maintain consistent customer satisfaction but at Unique Properties, we strive for that goal every day. 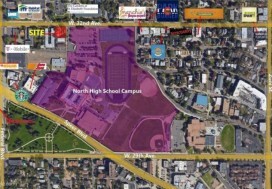 This star only confirms that we are keeping our vision in focus to be the premier commercial real estate brokerage firm in Colorado, defined by trust and excellence.” he concluded. On behalf of Marc Lippitt and Scott Shwayder, the Owners of Unique Properties, thank you everyone who helped us achieve this honor. 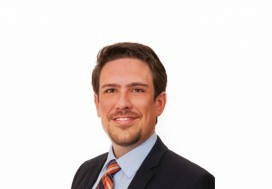 All achievements are accomplished by the Unique family of both staff members and brokers – everyone is absolutely essential to the company’s success!